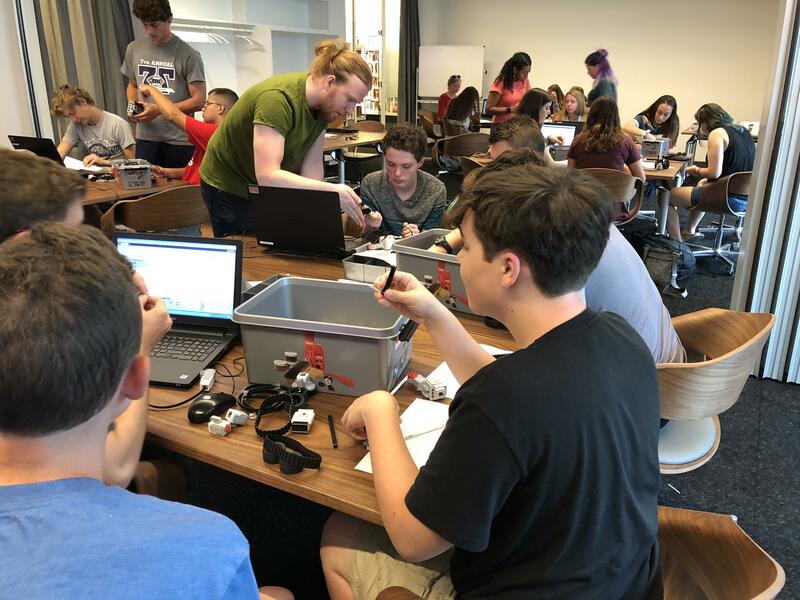 Today in Amsterdam, NewTechKids taught computer science workshops to high school students from across the U.S. The students are in Amsterdam as part of EF Tours’ Global Summit Tour, an event during which students are immersed in the topic ‘ The Influence of Technology on Society’. We chose the theme of automation as a way to explore ways in which technology is transforming the way we live, work and interact with each other and the environment. During our morning workshop, we explored automation in the context of processes, specifically online shopping and what happens behind the scenes. After lively discussions, students tried their hand at designing automated systems for sorting packages in a warehouse. During our afternoon workshop, we re-visiting automation, this time in the context of self-driving vehicles and smart transportation technology. 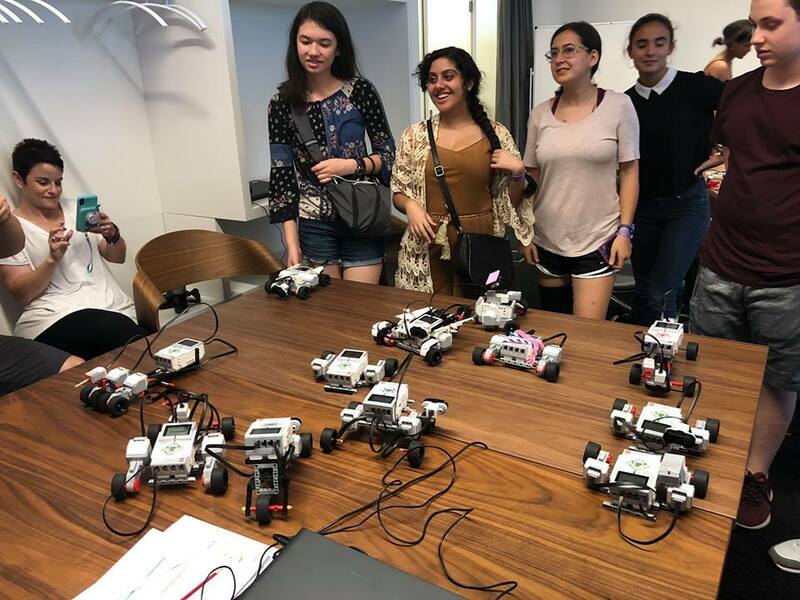 After discussing the ethics and considerations around autonomous transportation systems, students designed, built and programmed their own self-driving vehicles which could detect other cars, respond to traffic lights and avoid cliffs and other obstacles. We were impressed with the students’ awareness of the implications of technology and their ability to identify and analyse the pros, cons and effects of automation and robots. All of the students spoke about the importance of studying computer science in order to prepare themselves with future-proof knowledge and skills and for advanced study in almost every domain. A big ‘thank you’ to Openbare Bibliotheek Amsterdam (the Amsterdam Municipal Libary) and Maakplaats 021 for hosting the workshops. Tagged: Amsterdam, Amsterdam Municipal Library, automation, computational thinking, computer science, EF Tours, Global Summit Tour 2018, high school, NewTechKids, Openbare Bibliotheek Amsterdam, programming, robots, students, technological literacy, technology, U.S.